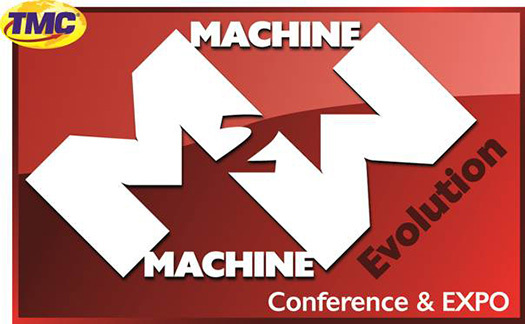 From January 29 to February 1, 2013 one of the crucial events of the year in the sphere of M2M (Machine-to-Machine) technologies – the conference and exhibition M2M Evolution & Expo, will be held in Miami Beach Convention Center, Miami Beach, Florida. In the course of the event the participants, including world’s leading wireless carriers, application providers, platform companies and device manufacturers will concentrate on the main strategies of M2M market development, discuss their roles in creating efficient ecosystem for information and database management, as well as the possible ways to apply M2M technologies and the concept of «Internet of Things» in order to improve business processes, lower the risks, promote innovational developments and get significant revenue. This year, as well as last year during the M2M Evolution conference in Austin (USA), another interesting event will take place – the second Battle of the Platforms, providing a wonderful opportunity to see the innovative platform solutions from leading developers, created to help you in the production of your own M2M-technologies. Gurtam team, led by the company’s General Manager Aliaksei Shchurko will present in front of a broad audience of experts in transportation, security and automobile manufacturing industry the updated Wialon software solutions, as well as will communicate the significantly broadened opportunities and advantages of GPS tracking platforms Wialon Hosting, Wialon Pro and Wialon Kit. Special part of M2M Evolution 2013 program will be dedicated to M2M applications within all vertical markets and, in particular, will highlight specific applications in transportation, energy and healthcare sectors. During a rather short period of time that has passed after the conference in Austin Gurtam made some significant steps towards the development of M2M-technologies. Even today many Gurtam partners in different countries use the main product of the company, Wialon GPS tracking system, not only for GPS tracking and fleet management, but, as practice has shown, for other M2M applications in safety and security systems, healthcare systems, industrial telemetering systems (manufacturing, power production, housing services and utilities), etc. The highly topical conference program, meant to inform and educate the audience of the latest and greatest technologies, current and future regulatory policy, new vertical markets, new applications and other urgent issues of M2M technologies development, therefore, makes the conference a leading educational event of M2M industry. «We are looking forward to this event and invite our colleagues and partners to join us in Miami and visit Gurtam booth at the exhibition-conference М2М Evolution 2013» – says Aliaksei Shchurko, Gurtam’s General Manager. We are ready to provide free tickets to everyone, who is interested in M2M technologies, both companies and individuals. If you want to visit M2M Evolution Conference & Expo 2013 you can order a ticket via email pr@gurtam.com.